Pundits are tipping the Romanian real estate sector to perform similarly to 2018 this year. In the first quarter of 2019, projects of around EUR 118 million were sold, almost equal to the value in 2018. If predictions prove correct, the second and third quarters will bring big money onto the market. In 2018, the total transaction value of the Romanian real estate market neared EUR 950 million, slightly down on 2017. This year has the potential to bring a rebound, and possibly set a new post-crisis high, as several large deals have remained stuck in the negotiation phase longer than expected. “We believe that this year, if all the negotiations conclude, we could reach close to EUR 1 billion of transactions involving office buildings. It is certain that negotiations are ongoing for the purchase of EUR 500 million of buildings,” says Robert Miklo, director of CEE investment services at Colliers International. That said, 2018 saw some of the largest deals ever, while domestic capital increased more than fivefold versus 2017, accounting for one fifth of total volumes, not too far behind South African capital. The latter aspect is especially positive as the limited presence of Romanian money on the real estate market has been criticized by foreign investors in the past; at the same time, it highlights a growing maturity in the Romanian economy overall, and reassures all market players. The most notable entries on the real estate scene were those of the investment arm of Romanian-owned DIY chain Dedeman and South African-backed Lion’s Head Investments, while other players that have been active in recent years (Prime Kapital/MAS REI, Cerberus Capital Management) continued to snap up properties. Also, the second biggest player on the industrial scene, WDP, made an entry on the investment market, concluding several deals in 2018. The two biggest deals of the year were on Bucharest’s office market: Dedeman’s purchase of The Bridge and Lion’s Head Investments’ acquisition of Oregon Park; the deals were reported to be in the region of EUR 200 million and EUR 175 million respectively. 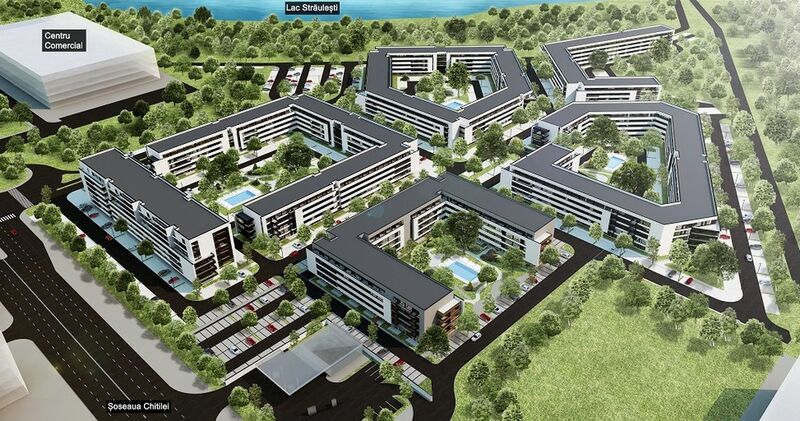 A different reference deal for the office market was the purchase of Skanska’s Campus 6 (first phase) by CA Immo. Another noteworthy move was the sale of Romanian-owned Maestro Business Center in Cluj-Napoca to First Property Group, which marks one of the few examples of an institutional (and listed) investor moving outside Bucharest for office assets. Overall, the year brought a bumper crop of office deals in 2018, which generated close to 55 percent of total turnover in 2018, despite the fact that several large deals saw their negotiation phases extended into 2019. 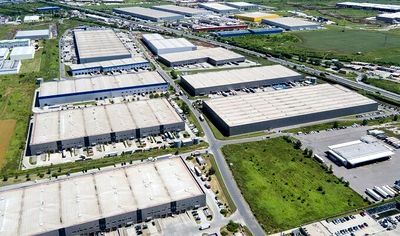 The first two transactions in 2019 were the acquisition of Prime Kapital shares in nine small and medium-size commercial centers by partner company MAS RE, for around EUR 113 million, while Romanian entrepreneur Sebastian Balasescu, the former owner of Urgent Curier, a company he sold to Abris Capital in 2014, bought the Biharia 26 office building in north Bucharest for around EUR 5 million. And reports suggest there are many major assets on sale on the real estate market. “NEPI Rockastle has put its office portfolio on the market. Portland Trust might sell something, Atenor as well. And with a spread of at least two percentage points above Poland and Czech Republic, the products will sell,” says Chris Bell, managing director of consultancy company Knight Frank Europe. “It is hard to say how much we could exceed the EUR 1 billion threshold, but there are chances. Many large properties (tickets of over EUR 100 million) are currently on the market, so if all goes well, we will be there, but it depends on many uncertain issues. Colleagues in the investment department see chances of jumping to the EUR 1 billion transaction threshold in the office segment, compared with nearly EUR 600 million in 2018, which would mean that if it stays dynamic last year, on the other segments we could exceed EUR 1.5 billion. But coming back, given the risks, Colliers’ official forecast is somewhat lower, at about EUR 1 billion,” says Silviu Pop, head of research, Colliers International. The retail segment was a distant second in 2018, but still accounted for a significant 34 percent of total investment volumes. The biggest ticket, estimated at well over EUR 100 million, emerged late in the year, when Sonae Sierra bought out its partner (50 percent) at the ParkLake Shopping Center in Bucharest. Another large deal saw Prime Kapital/MAS REI buy the Militari Shopping Center in the capital for EUR 95 million. Hotels and industrial saw smaller deals than in previous years, but some large assets were on the market in 2018. For industrial, while very big-ticket items were lacking (the two biggest deals were each in the EUR 20 million area), it is important to note that sizeable deals were closed by WDP, the second biggest player in the warehouse market. This year, CTP, the biggest player in the industrial market, is close to securing the acquisition of a property, probably from WDP, for EUR 40 million. Bucharest returned to the forefront of demand, as assets in the capital accounted for almost 82 percent of volume compared to 37 percent in 2017. This is largely due to the prevalence of office transactions last year and, given the way the pipeline looks for 2019, it is likely that Bucharest will continue to weigh the most. According to Colliers International consultants, under normal conditions, Romania’s dynamic economy in recent years coupled with the juicy yield differential compared to products in neighboring CEE countries would support a rosy outlook for the real estate investment scene. The current pipeline for real estate transactions looks good, with investors continuing to show healthy interest in assets currently on the market. The market is being analyzed by investors not currently present or active domestically. According to Cushman & Wakefield Echinox consultants, the local real estate market has begun to attract the attention of major Asian investors, as groups from China and South Korea are exploring the potential to invest directly in the primary commercial markets. It would be feasible for the first transaction to occur by the end of this year. So, the market could expect total volumes of at least EUR 1 billion in 2019, with offices set to remain the star with a pipeline of at least EUR 500 million – but there are some threats on the horizon. Besides the worsening macroeconomic picture and fresh uncertainties, the biggest potential threat for the investment scene comes from the bank tax. This has the potential to reduce banks’ appetite for real estate products, say pundits.